TIME's cover story "chronicles how, thanks to a massive shift in public opinion, gay marriage went from inconceivable to inevitable in less than two decades." 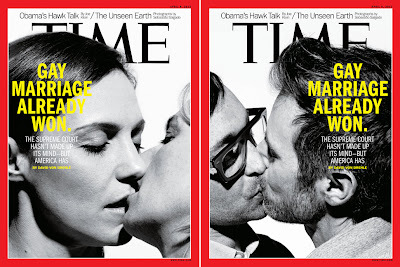 TIME's new issue, featuring the story, 'How Gay Marriage Won,' hits newsstands Friday. Two couples who were photographed to illustrate the story appear on two separate covers this week. See more portraits from TIME's cover shoot. *Cover photographs by Peter Hapak.